A man was beaten to death by attackers thought to be wielding baseball bats. 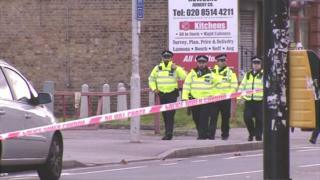 The Metropolitan Police said they had started a murder inquiry after the attack on the man in High Road, Ilford, east London, in the early hours of Sunday. The man, who was found injured, was taken by ambulance to an east London hospital but died at about 04:30 GMT. No arrests have been made. Police say they are keeping an open mind regarding a motive for the attack. The Met added inquiries were under way to identify the man and a post-mortem examination would be arranged in due course. Local road closures have been put in place and buses have been re-routed.